Until recently, The Body Shop seemed to have faded into just another mid-range beauty brand and had most certainly lost its way. The new campaign that brings focus back onto The Body Shop Foundation definitely shows the brand rediscovering its routes without the need for Leona Lewis or that boggle-eyed ginger thing they had for a while (can’t remember her name for the life in me!). Since 1976 The Body Shop has been founded on the principle of “teaching a man (or equally a woman) to fish”. The brand pays fair prices for their Community Fair Trade sourced ingredients, a system established and propitiatory to The Body Shop. One fabulous story I always remember is the Ghana Women’s Shea Butter Co-Operative, an organisation established for women, by women, to create jobs, education and more of an equal say in local society and communities – this ingredient is in every single Body Butter you buy! 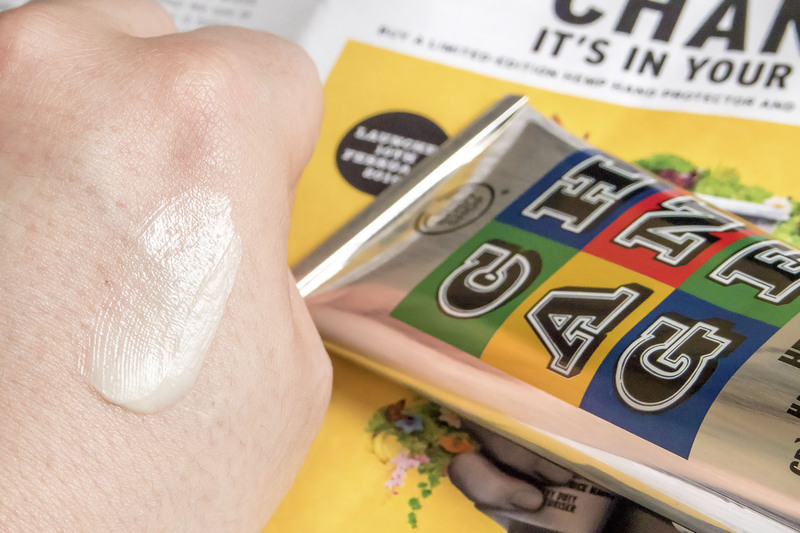 Packaging designed by famous street artist EINE, The Body Shop’s Hemp Hand Cream is either the best or second best selling product ever on par with Coconut Body Butter. The incredibly hydrating hemp-seed oil is the power behind the product that locks moisture into the skin along with glycerin and Myristic fatty acids. It’s a great hand cream for guys too with its earthy, raw scent (pretty non-invasive) and the fact it doesn’t sit on the surface of the skin. I also know it’s ultra-rich and absorbent formula is loved by nurses in preventing dryness when Alcohol Gel was all the rage and when they have to scrub their hands 1,000,000 times a day. This limited edition Hemp Hand Cream is available for £11 with £1.50 (13.5%~) going straight to The Body Shop Foundation charitable organisation. It’ll be available until it’s gone although the original will be around when there’s nothing left on earth but insects, microbes, fossils and Cher. Below is the brand’s promo video highlighting the new campaign; it doesn’t say a huge amount but it’s a pretty and uplifting watch! The Body Shop Foundation: What is it? The Body Shop Foundation has three key goals: animal protection, human rights and environmental protection. 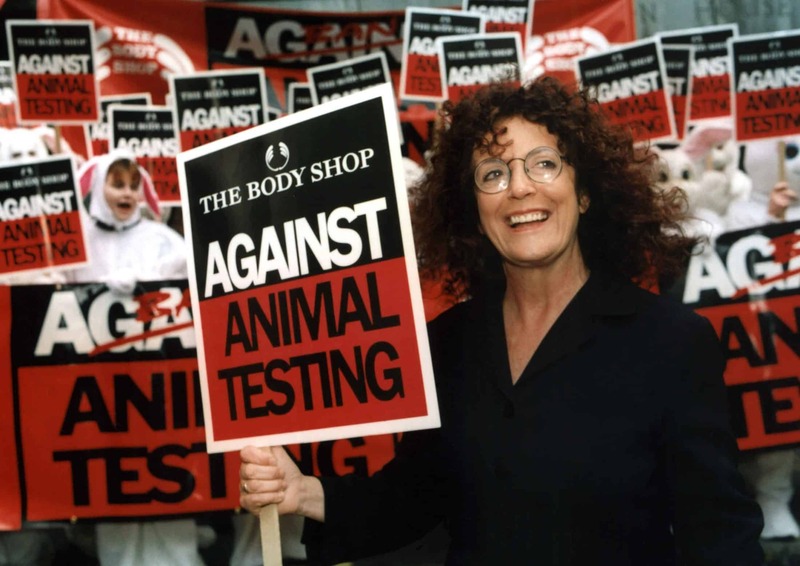 It wasn’t so long ago that The Body Shop were one of the only brands fighting for the abolition of animal-testing in cosmetics with Anita Roddick shouting, protesting and causing a right old ruckus to get it sorted. Anti-animal testing eventually became so in-vogue with other brands that you’re now persecuted en-masse if you don’t sport an anti-animal testing logo – and now it’s more or less banned! It’s sad Anita isn’t around to see it. Although you might be forgiven for thinking they’re a brand that just does those lovely soaps, body butters and White Musk (love or hate?) The Body Shop does a lot more. The brand was bought by L’Oreal to incorporate The Body Shop’s values and practices into the entire brand portfolio (of which they’ve done a lot) and in turn, L’Oreal have given The Body Shop a platform and power to campaign and spread their work worldwide. 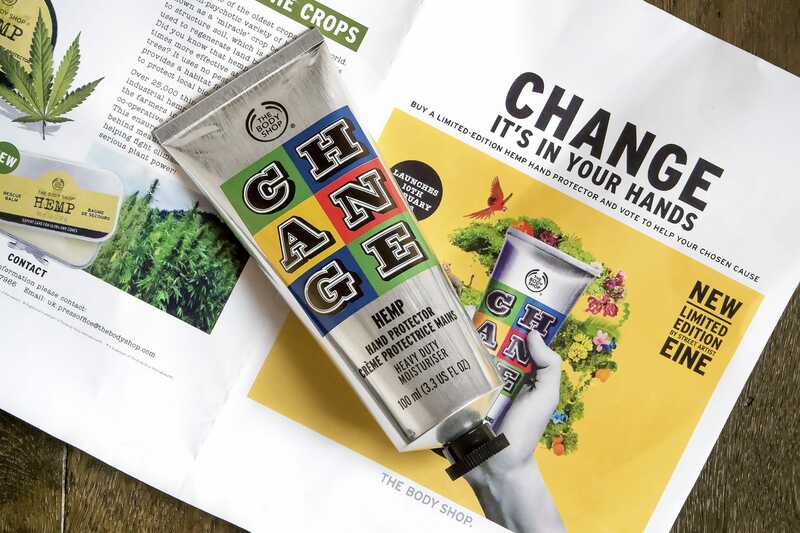 So with 40 Years of history and I’m sure many more to come, check out this new campaign and again the limited edition Hemp Hand Cream is available for £11 with £1.50 (13.5%~) going straight to The Body Shop Foundation charitable organisation. This article first appeared on MANFACE written by Thom Watson. It was published on Tuesday 1st March 2016 and was last updated on Monday 3rd April 2017 at 1:06pm. It's categorised under Hands, Moisturise, The Body Shop where you'll find more related content.